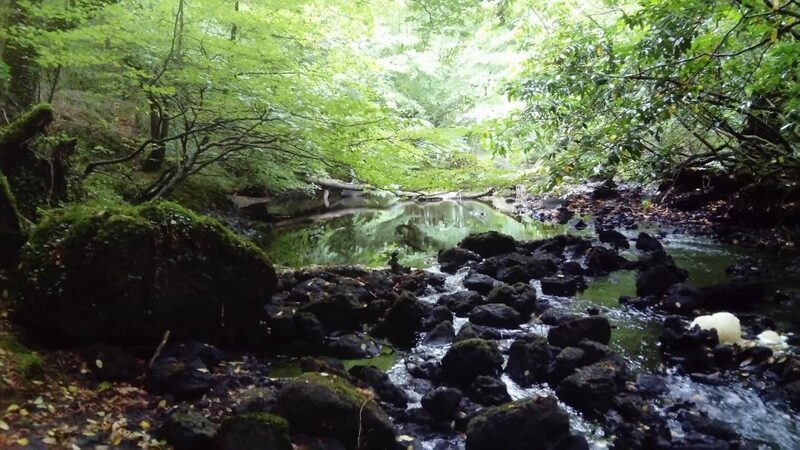 These unique earth energy tours start in Gort in South Galway, an area that W.B Yeats recognised was strong in elementals (nature beings). Groups of any size have the option of pooling their own cars. Larger groups can avail of a local minibus and additional driver. Overnight accommodation arranged at a variety of places, either at the Lady Gregory Hotel or at a local bed and breakfast in a prime location (e.g. beside Kilmacduagh Round Tower (as seen on TV when singer Daniel O’Donnell stayed there!) Another friendly guest house is located near the dolmen seen below. Listen to the deep healing sounds of the gong and drum being played by sacred flowing waters and even have a go at playing them yourself. Explore sites of great natural and archaeological beauty. Try your own poetry-writing inspired by Yeats’ own poems at the sites that inspired him to write! Learn fascinating exercises to reconnect you to the living aspects of nature are offered. 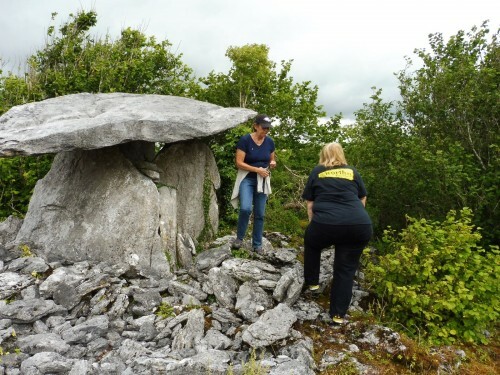 These earth energy tours Ireland are unique in that they allow you to access hidden sites-such as a hidden dolmen (see photo), a fairy fort and wild woods. They also allow you to explore your own interior as you journey along the quiet routes at a slow relaxing pace. You will learn about the local heritage too, and appreciate the elements that inspired WB Yeats to reside here for many years. Prices upon enquiry. These are special packages for the discerning visitor. Enquire here!